Amy has experience training all populations, but excels in training women and runners! She provides individualized training for all her clients by keeping their history, any current limitations and future goals in mind. Amy enjoys forming life-long relationships with her clients and celebrates meeting each and every goal they set together. She holds a personal training certification through American Council on Exercise, including additional certifications in fitness nutrition and functional training. Amy also holds a Run Right Pro certification focused on coaching runners and correcting improper run form. 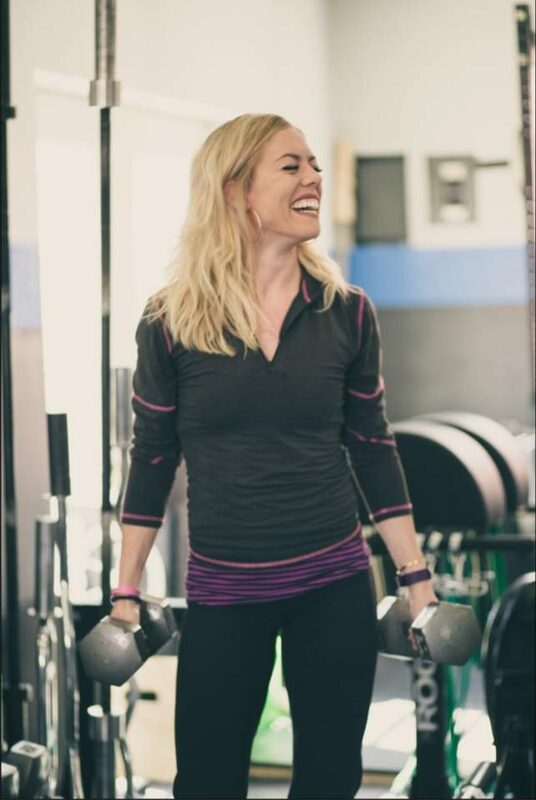 Amy has been training for almost 4 years; she began her training career at an LA Fitness in upstate New York, then moved to Colorado and worked in boutique gyms and recreation centers before opening her own business. In addition to her training and coaching business, Amy also coaches cross-country and track for Denver South High School. In her personal life, Amy lives with her fiance and two dogs outside of Wheat Ridge, Colorado. She runs competitively for a small sub-elite club and enjoys hiking and freelance writing in her free time. I prefer to train functionally; in other words, I like my clients to perform exercises that mimic movements they might do in every day life. I always sit down with a new client for a consultation where we chat about history, goals, limitations or injuries, diet, current exercise, lifestyle, etc. We may also complete a few physical assessments to see where he/she is athletically at the time of our first session, as well as to determine if there are any gaping muscle imbalances/weaknesses. From there, I tailor the workouts according to the client’s goals. Each workout session begins with a 10 minute warmup, and from there we jump into the workout itself. The last five minutes or so we may slow the tempo to cool down, or I may recommend the client stretch or foam roll.